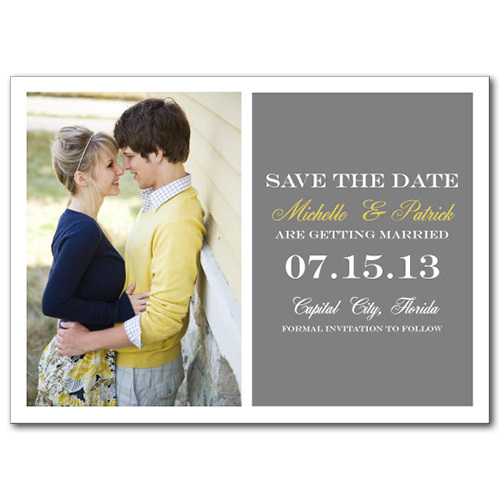 Bring back the fun and charm of The Great Gatsby with our Getting Gatsby save the date cards. 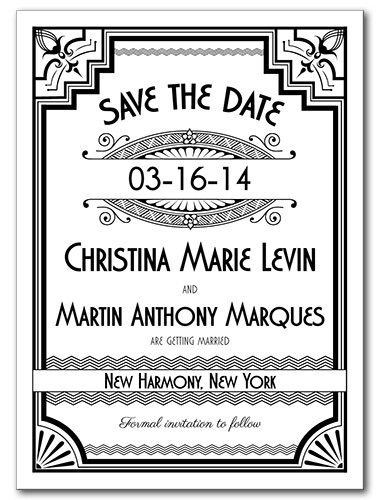 These 20s-era cards feature an Art Deco design with brilliant decals at every corner to catch the eye. 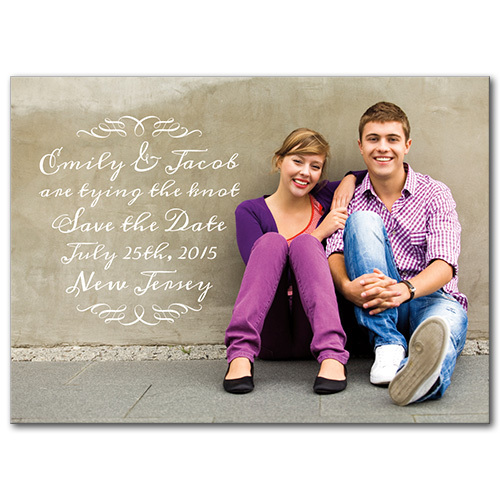 Personalize with your own message to make the design your one of a kind creation. 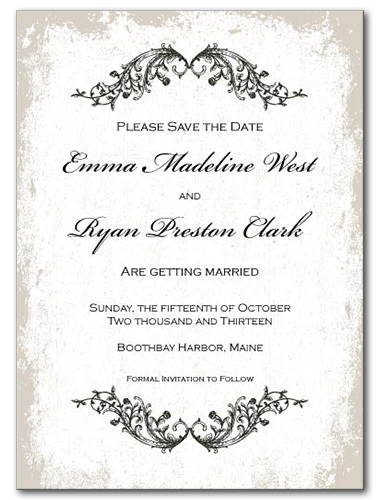 Perfect for lovers of great literature or early twentieth century style who aim to have a themed wedding. 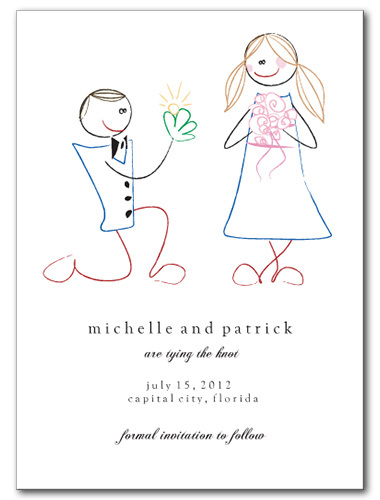 Colorful and creative, this Love Sketch save the date card features a stick art depiction of a man proposing to his lady love. 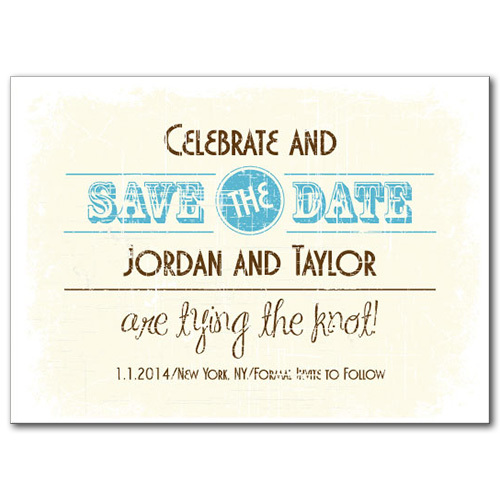 This whimsical and childlike card offers a fun and laid back way to announce your big news. 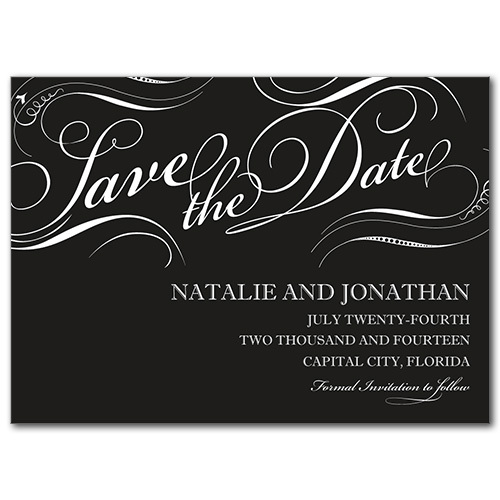 Choose your favorite wedding font for a customize appeal. 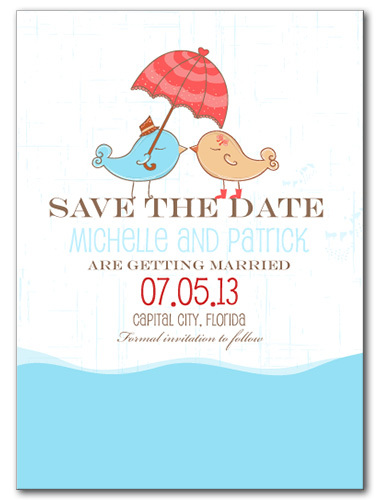 Great for weddings where children will be involved, teachers, or any couple who loves a more playful touch. 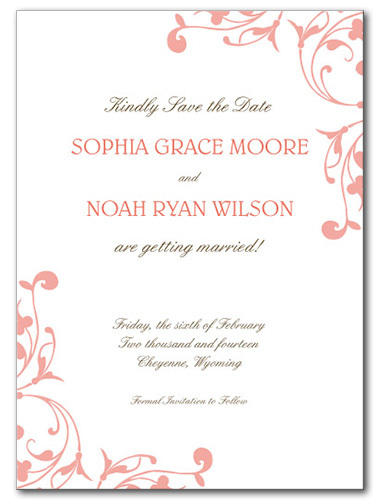 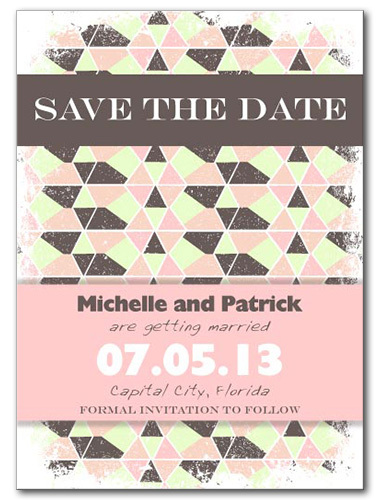 This bold Modern Navajo save the date card features a striking coral pink, green, and brown pattern reminiscent of Navajo tribe patterns. 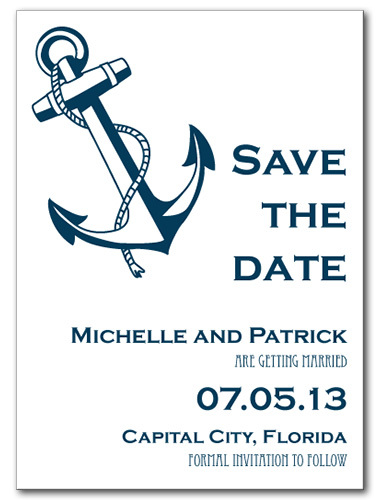 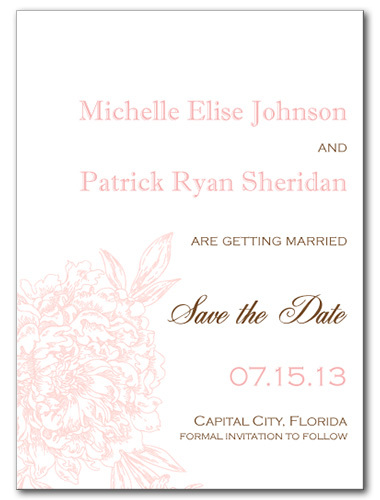 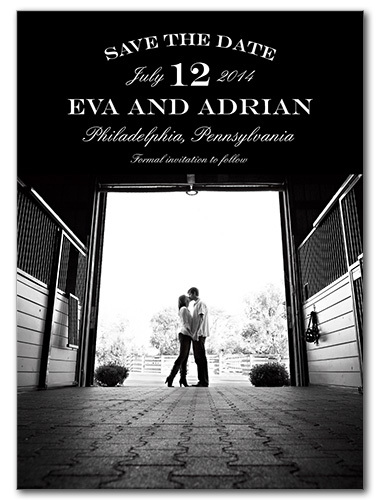 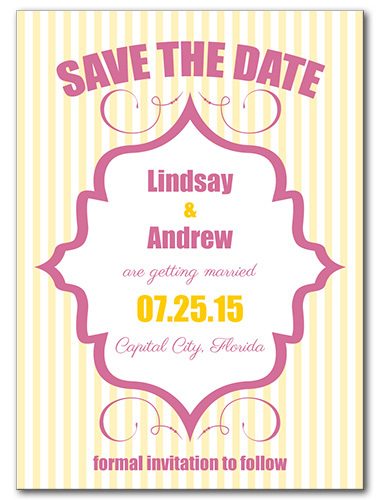 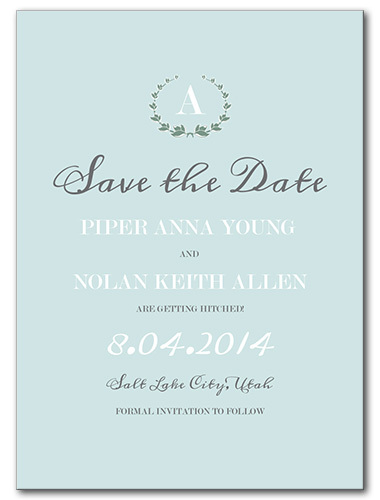 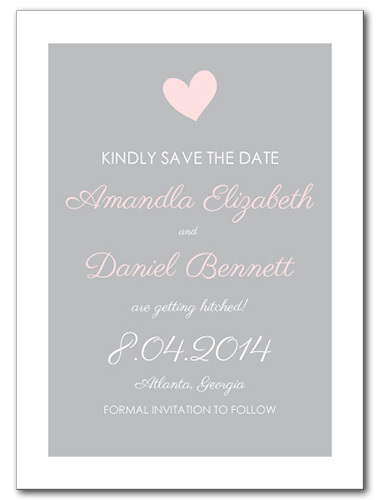 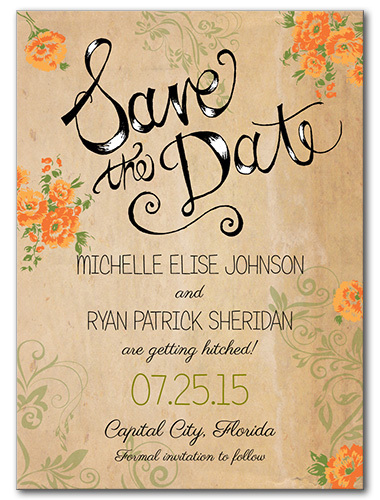 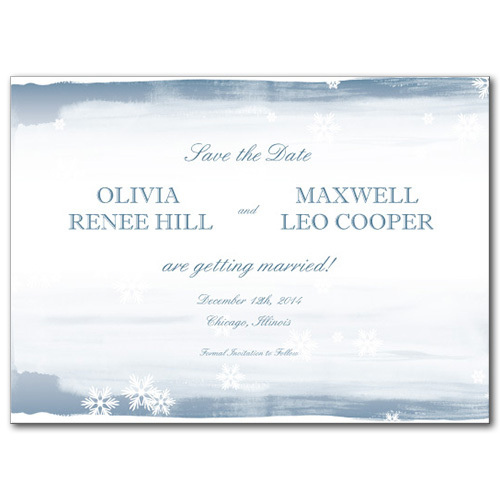 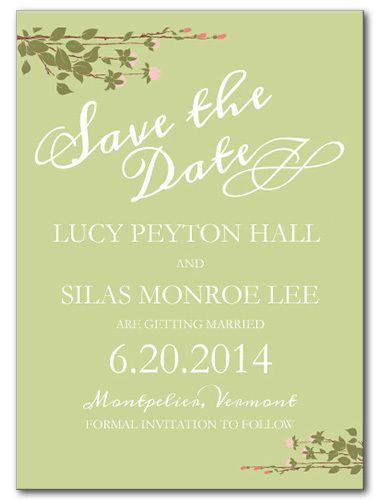 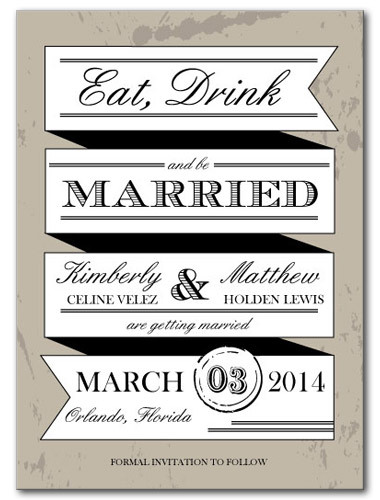 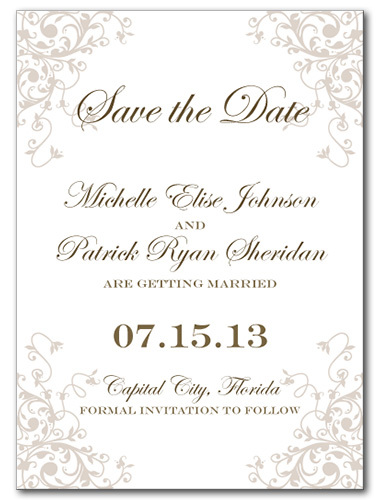 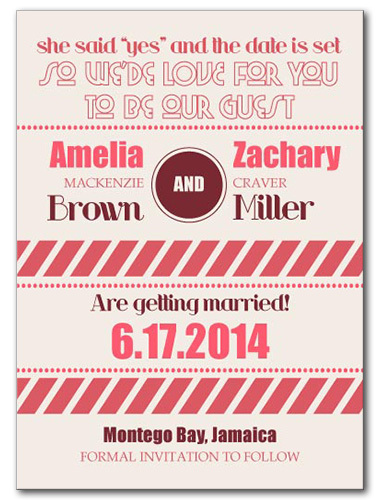 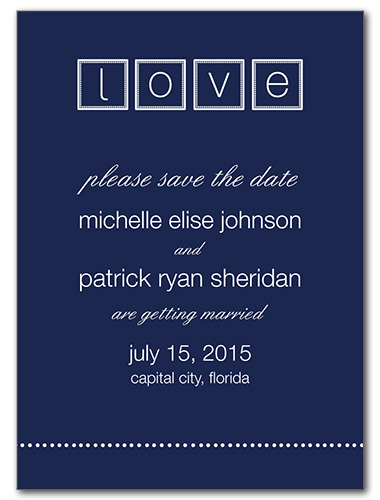 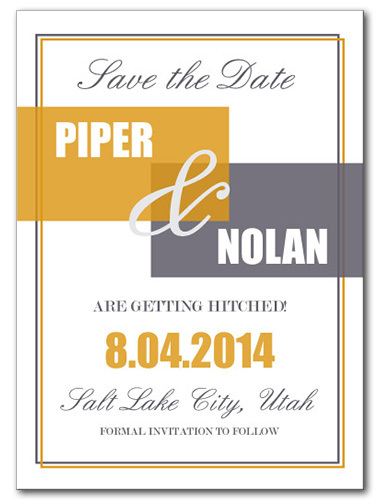 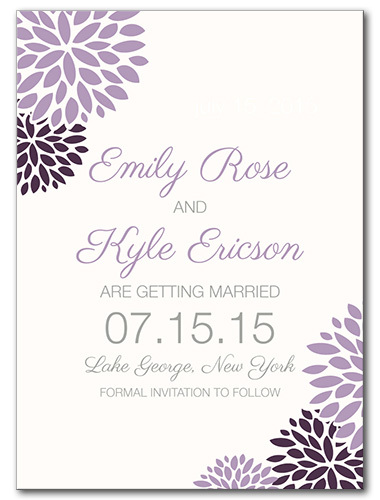 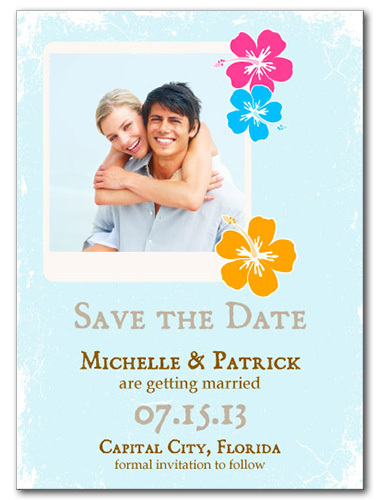 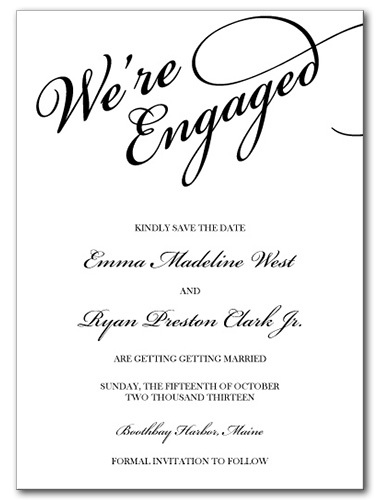 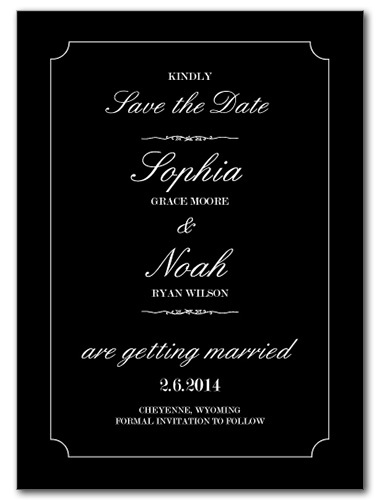 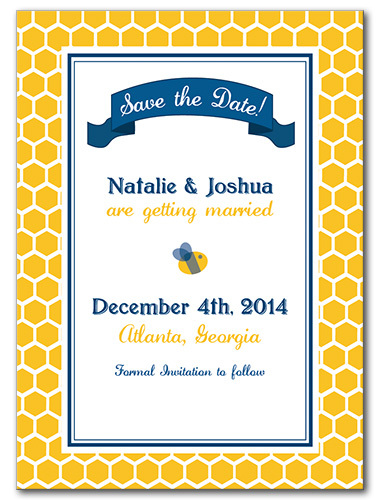 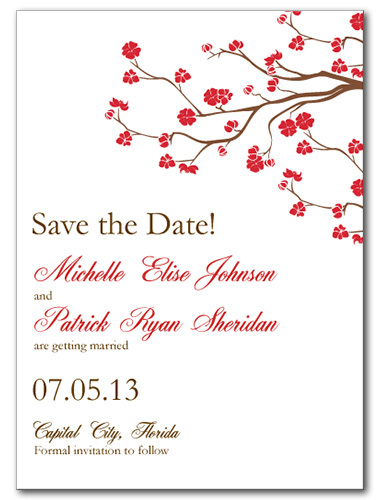 Coordinating banners make your big announcement, fully personalized by your choice of wedding font. 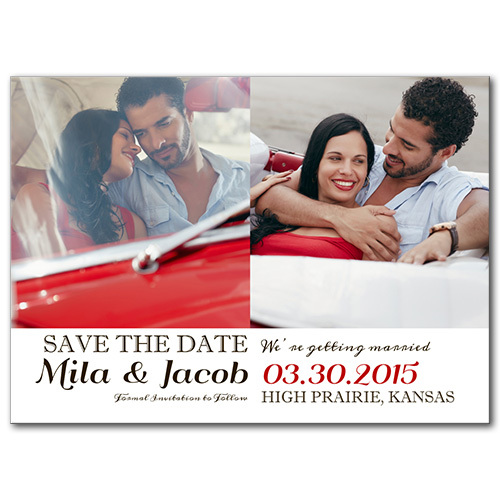 It's the perfect statement for Native American couples who want to give a nod to their heritage, but it also works well for any lively couple looking for a fun save the date. 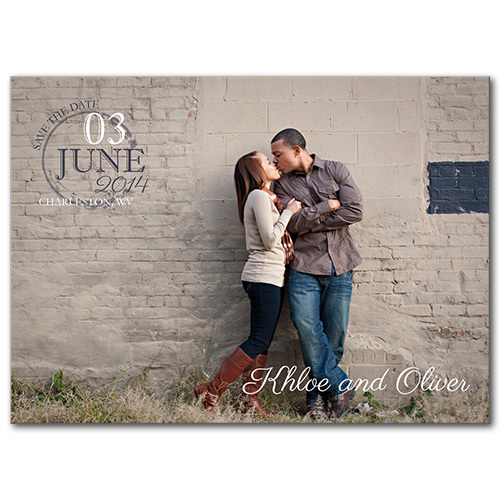 Nothing makes your heart soar like being in love. 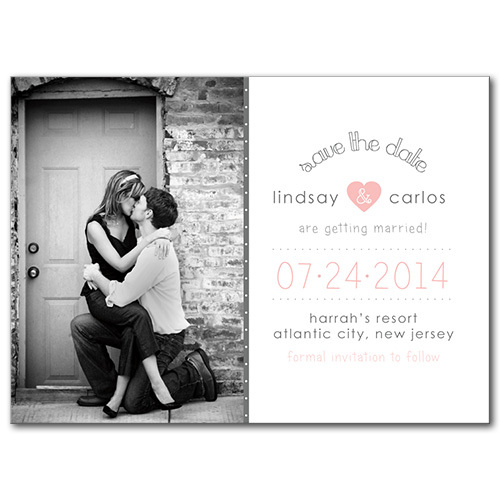 Share this sentiment with friends and family with this playfully romantic Soaring Hearts save the date card. 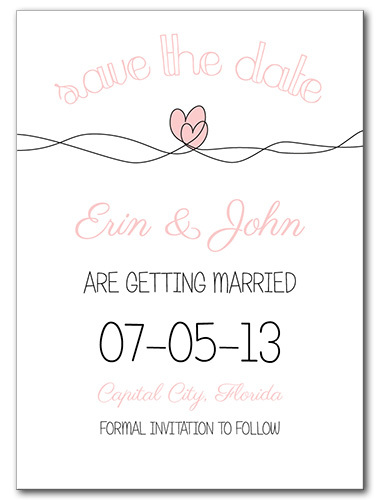 Scrawled pink hearts at the top combine with a hand-drawn look for a laid back vibe that is both whimsical and romantic. 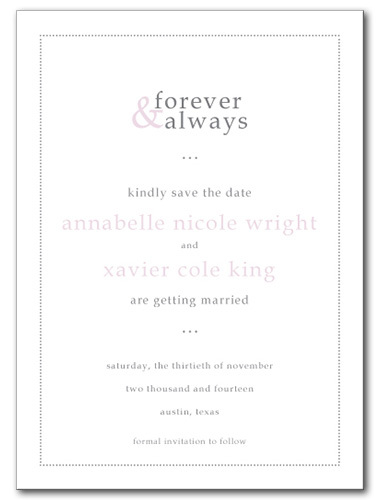 Choose your own wedding font for a more customized appearance. 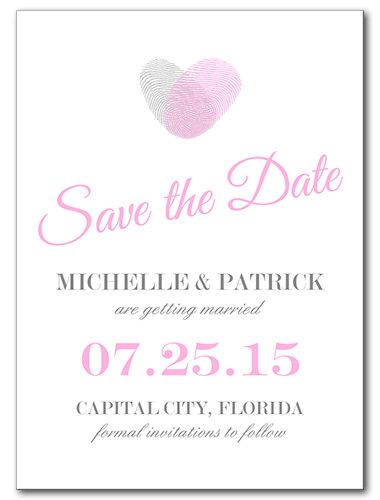 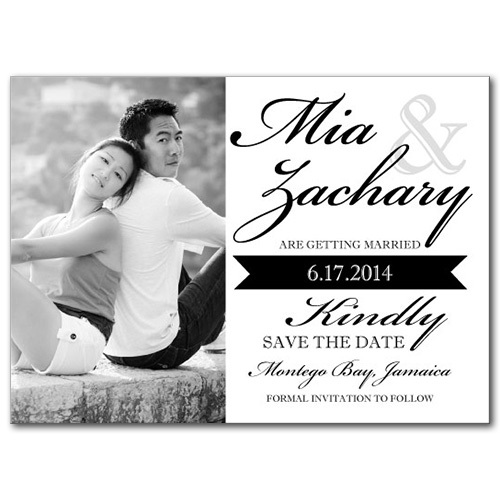 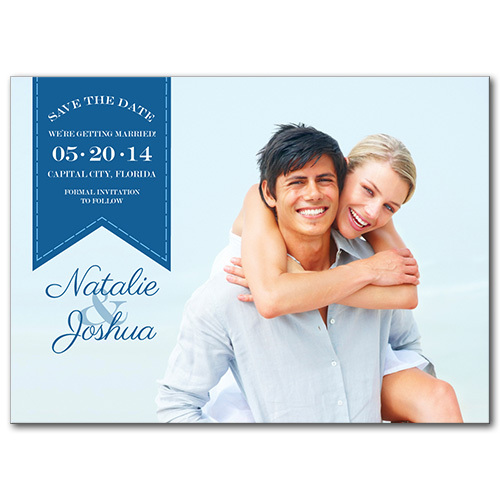 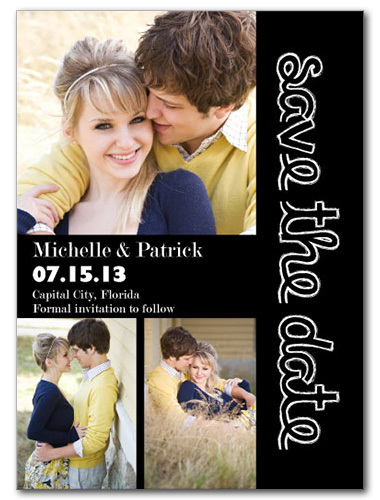 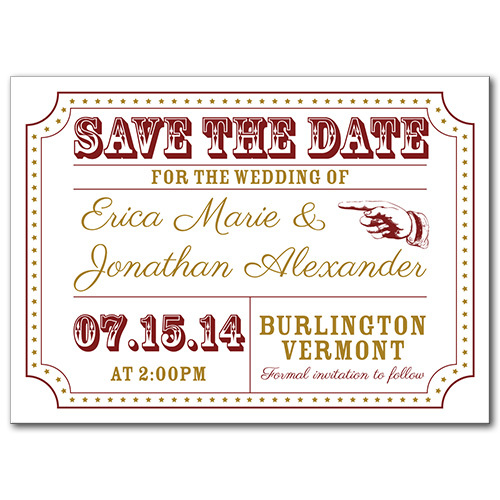 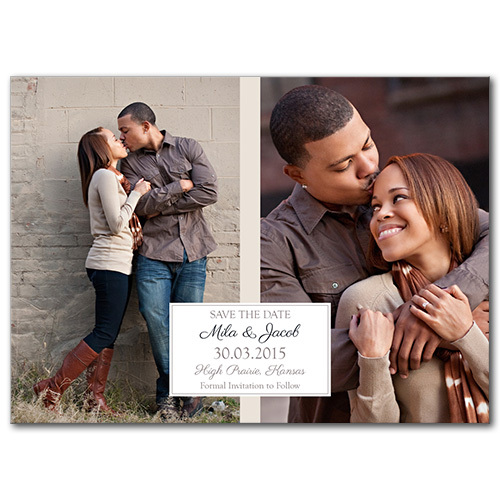 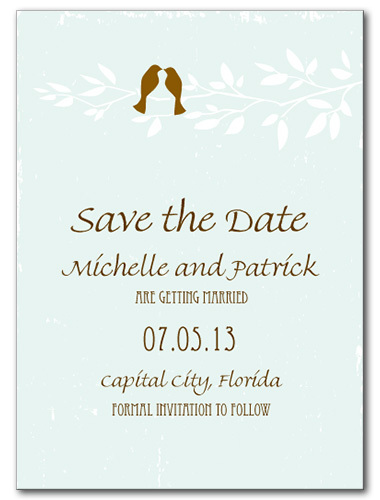 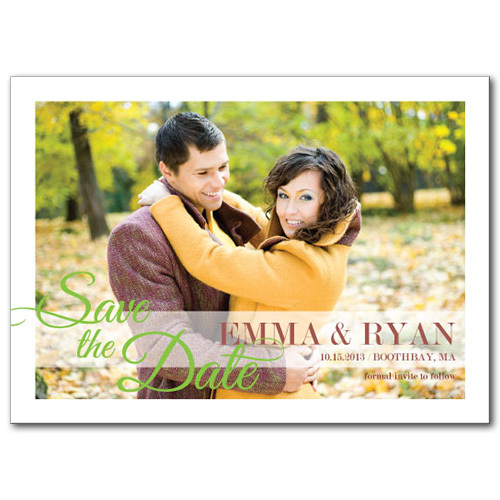 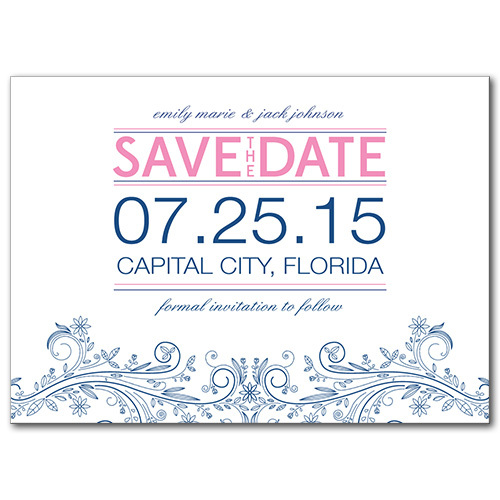 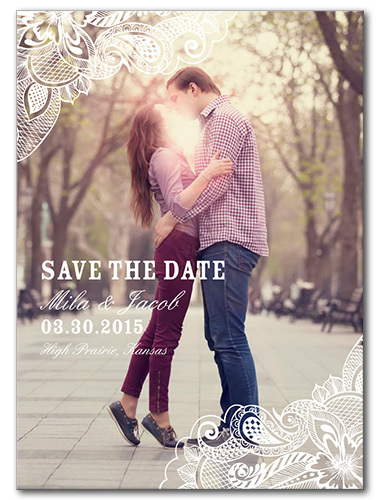 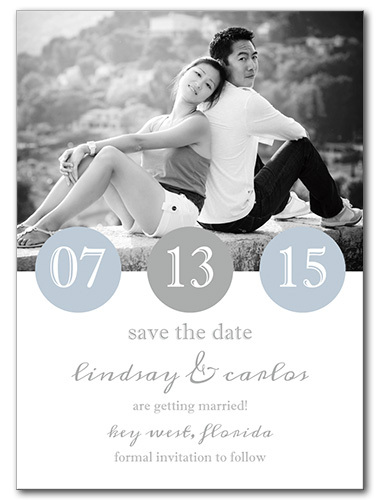 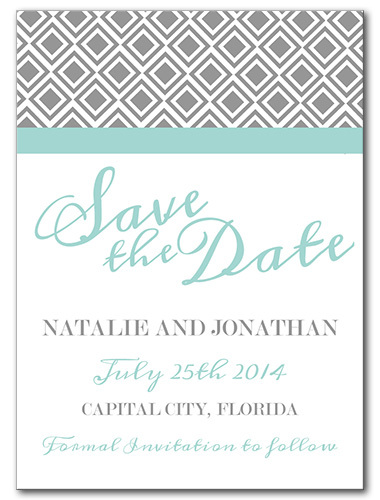 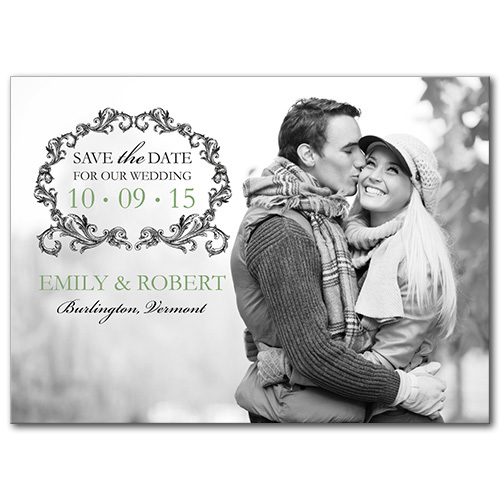 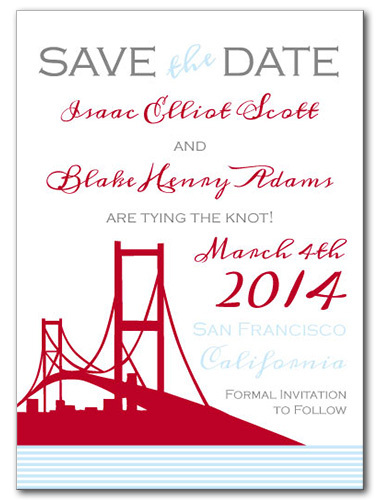 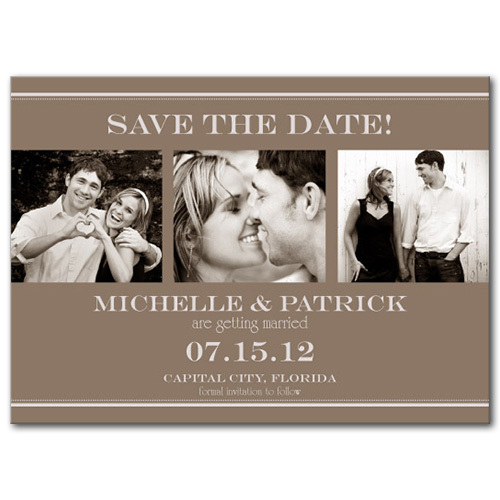 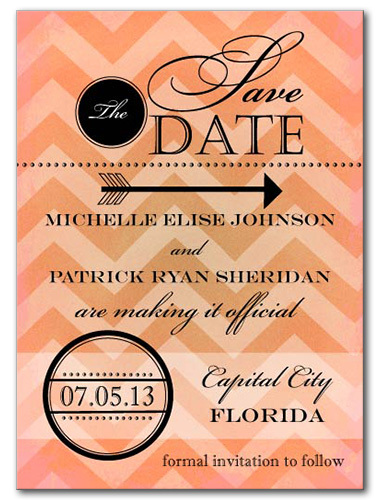 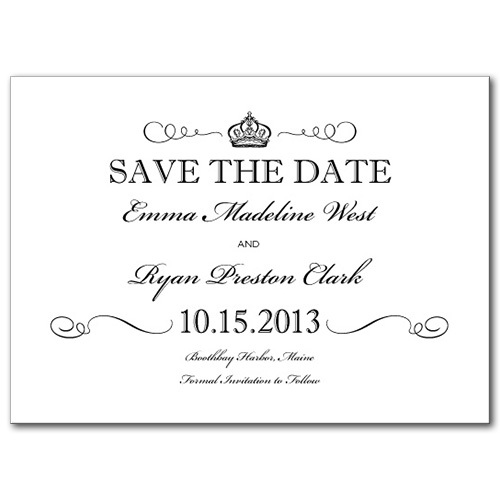 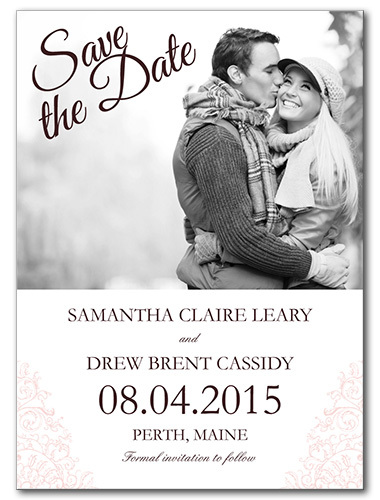 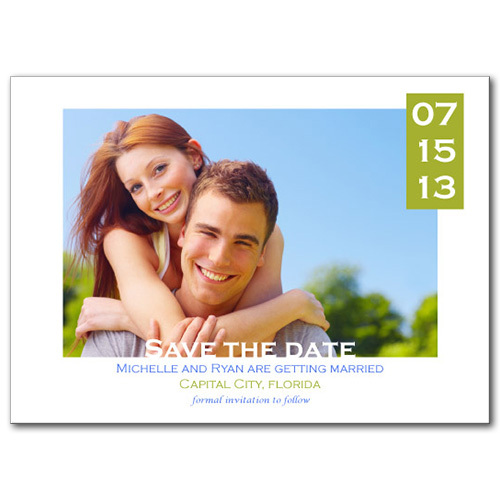 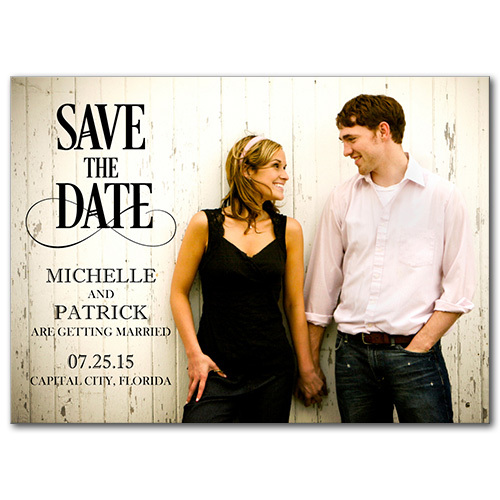 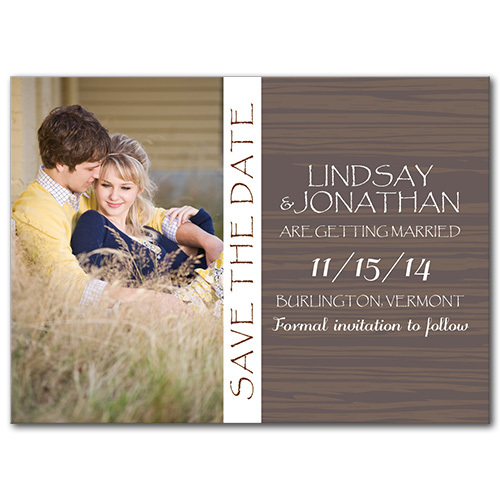 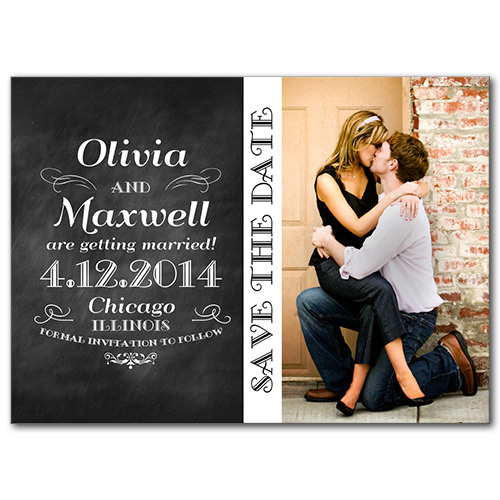 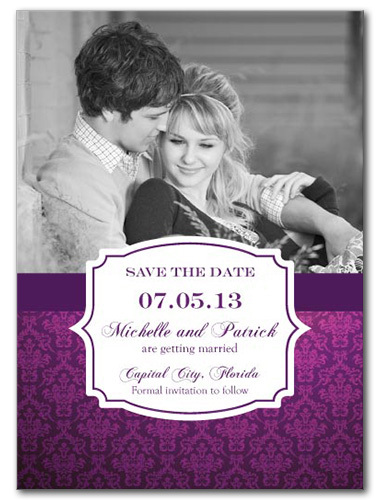 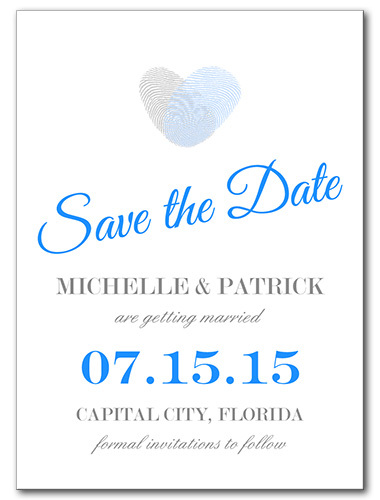 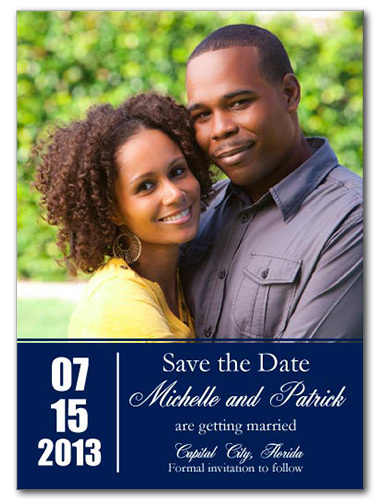 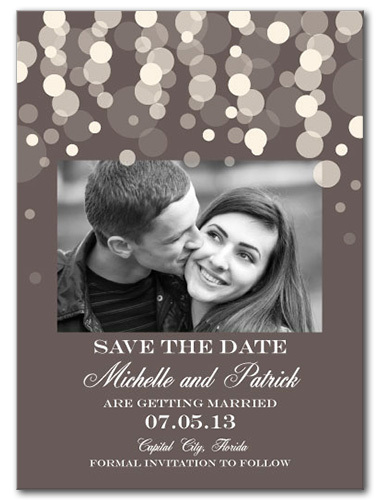 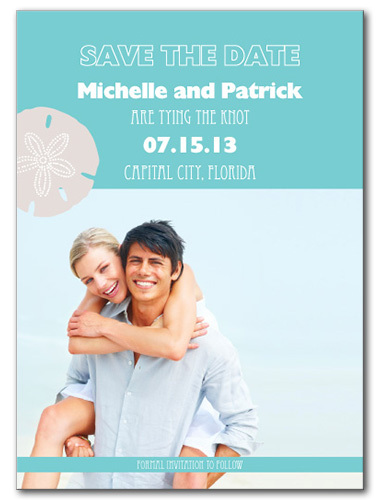 Announce your big day the stylish and easy way with our 5x7 save the date cards or magnets. 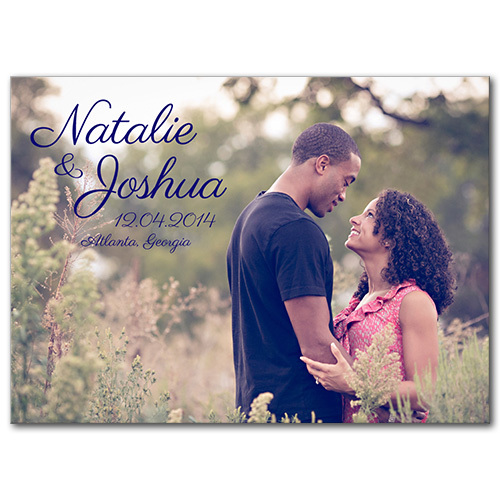 Each card comes in a standard photo 5x7 size. 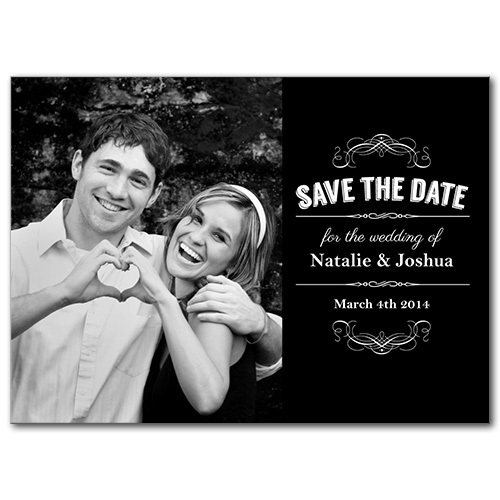 The larger size means your loved ones are sure to take notice, and they're also easy to display in frames as a keepsake to treasure long after your big day is over. 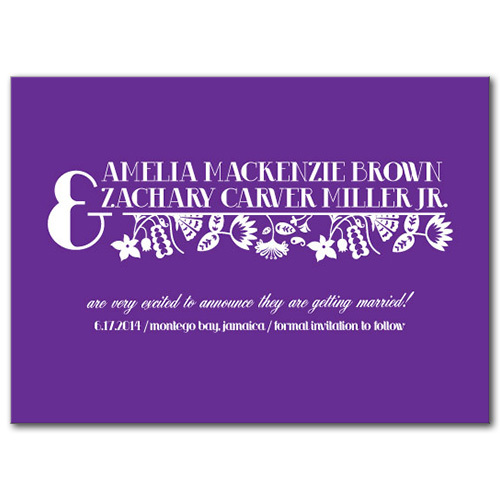 Choose from dozens of designs. 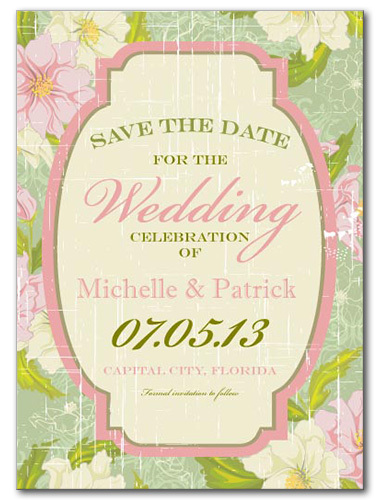 There's something here for any wedding theme or season. 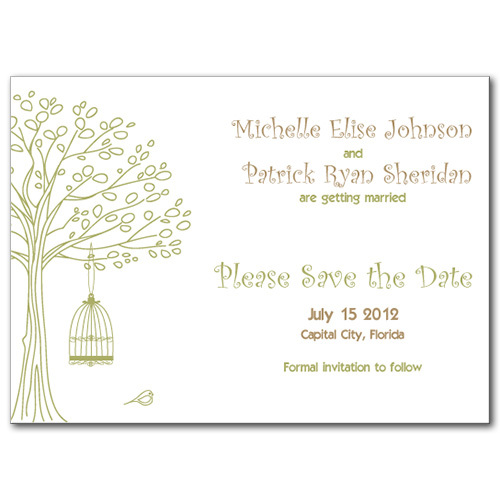 From bold and modern cards to more subtle and elegant traditional cards, you'll find something here to coordinate well with your wedding's decor. 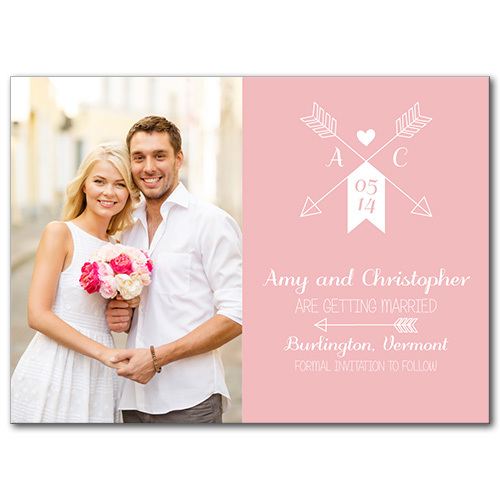 Customize your favorite designs using the easy to use tool, and add your own message and wedding font to make the look and sound of your cards uniquely you. 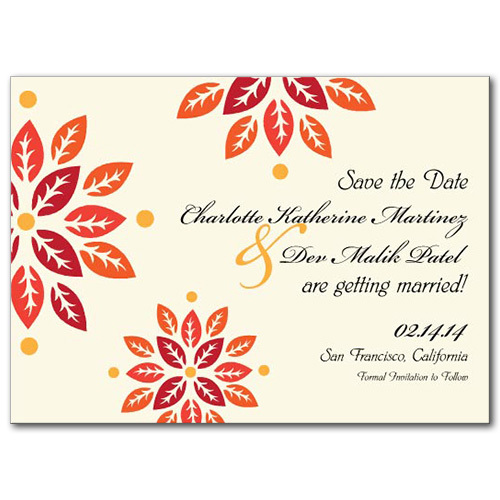 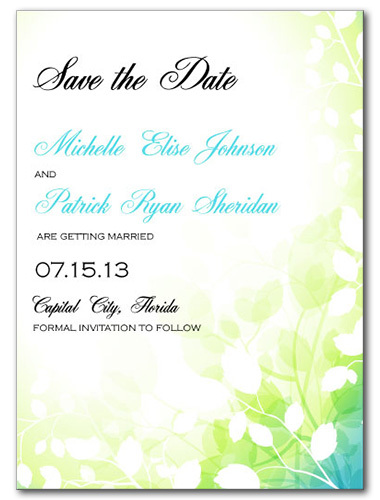 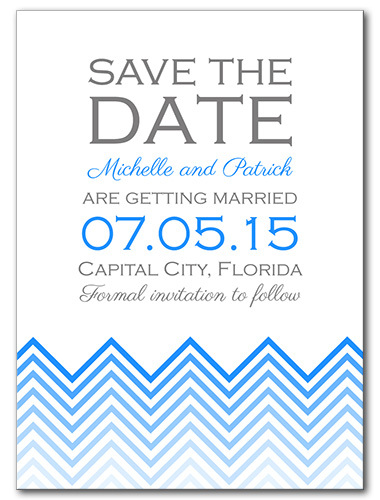 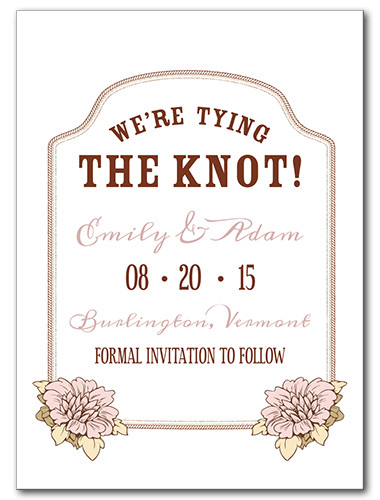 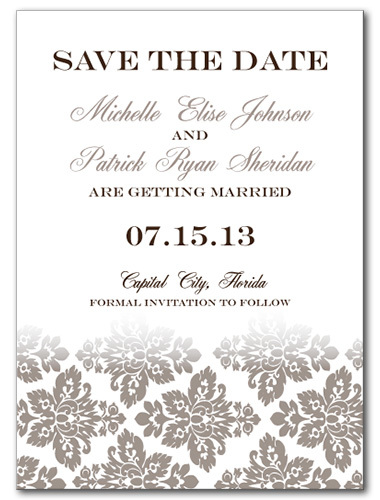 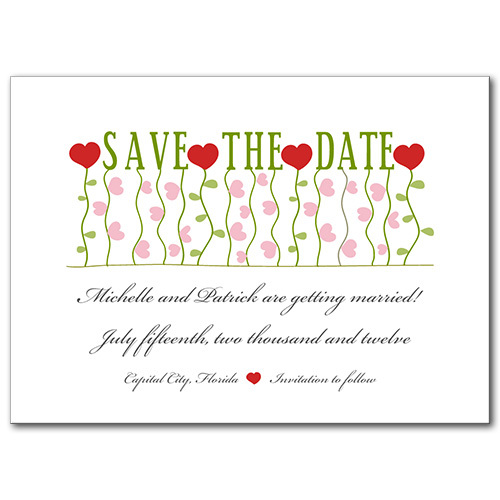 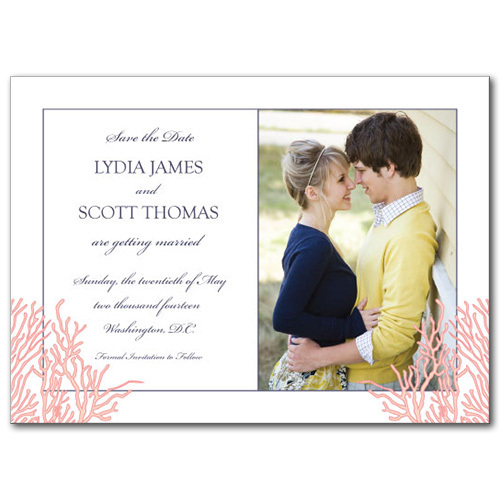 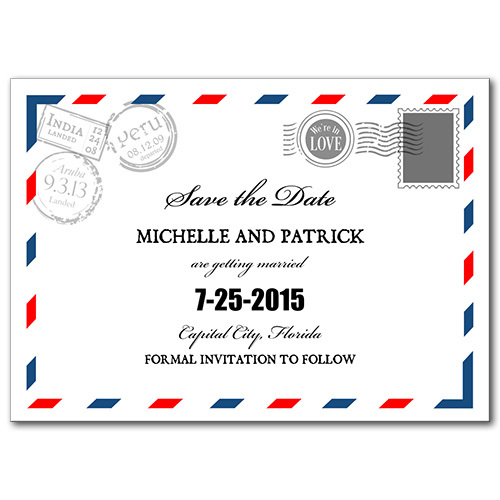 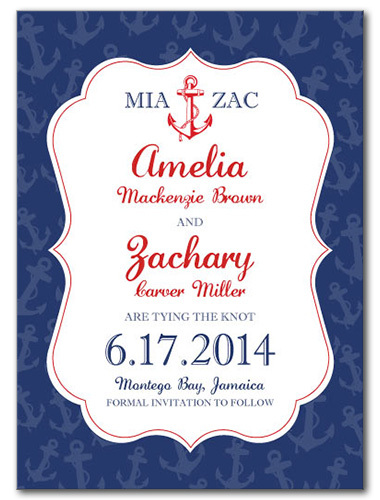 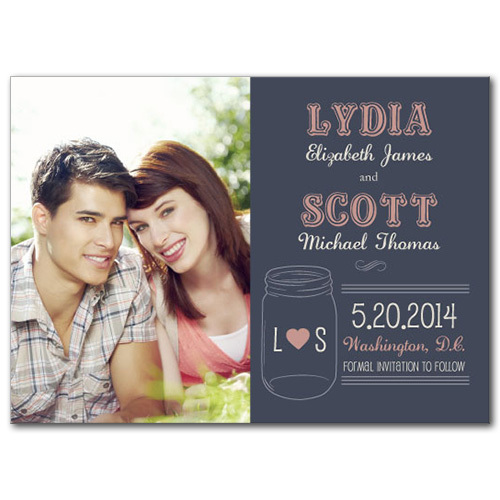 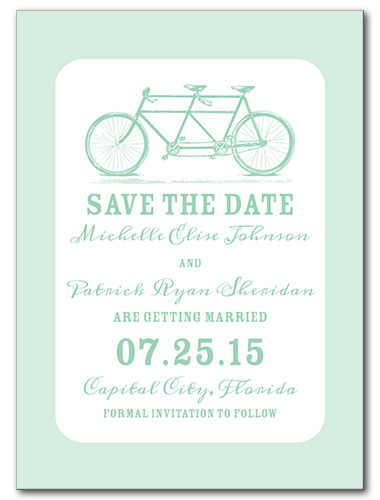 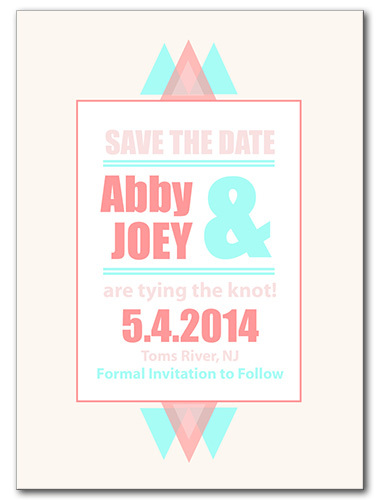 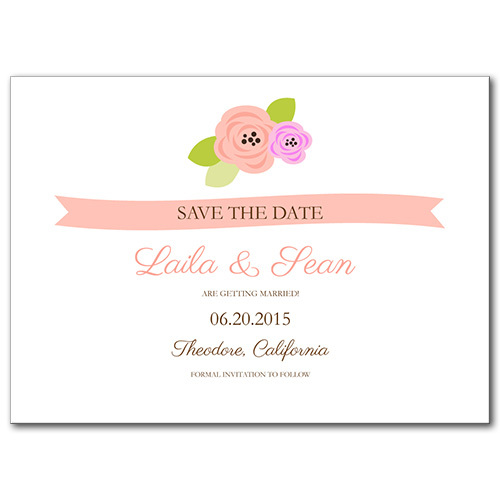 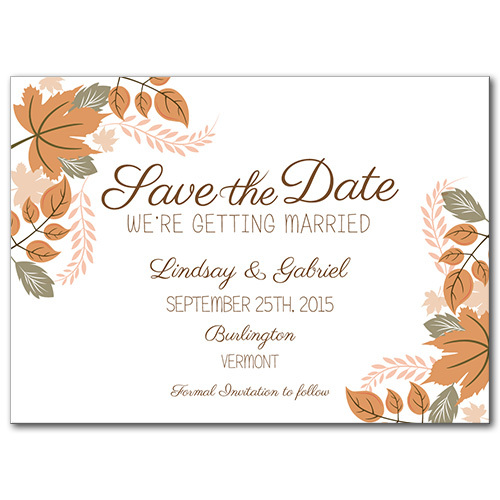 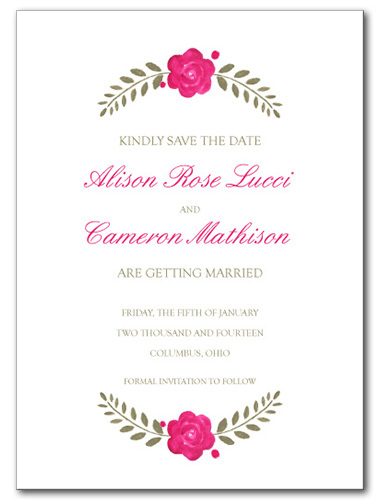 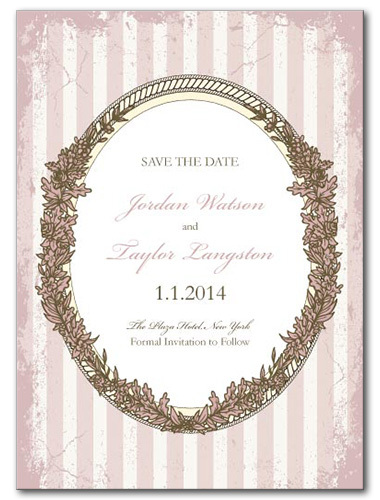 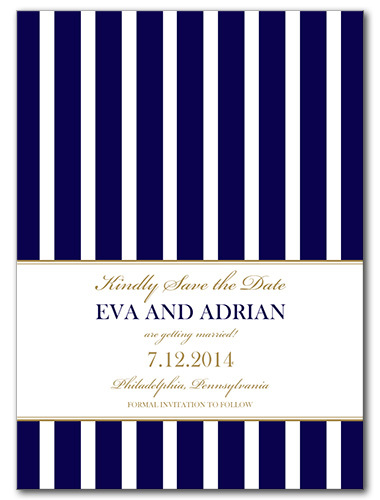 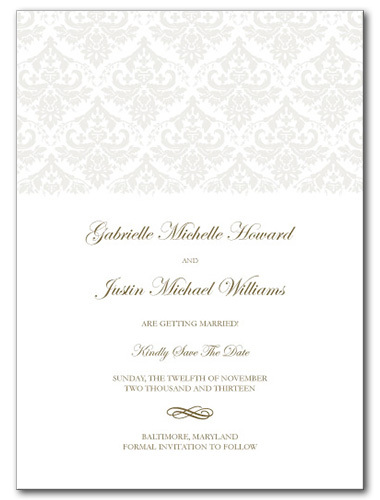 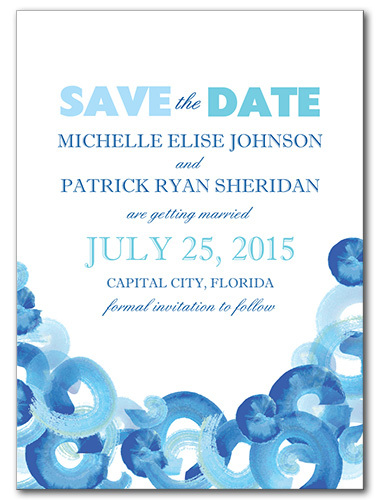 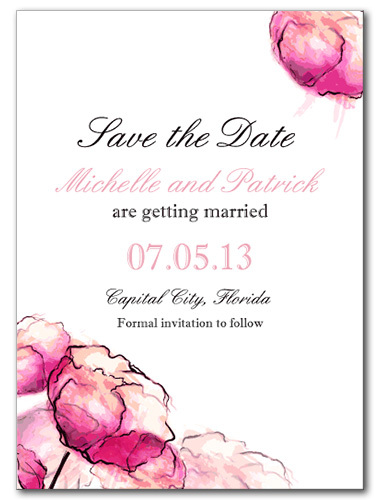 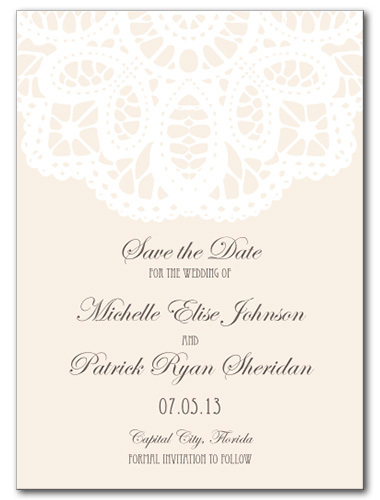 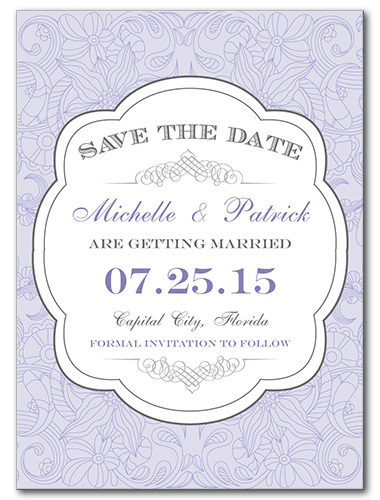 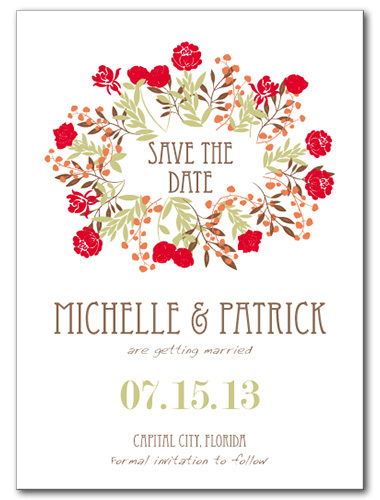 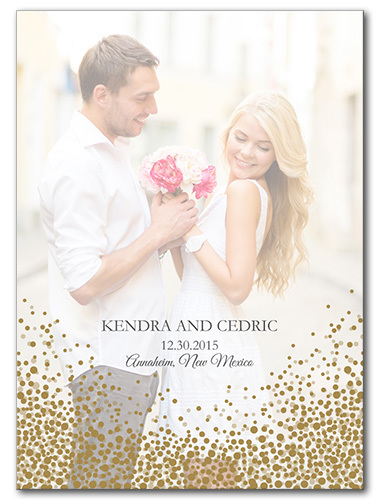 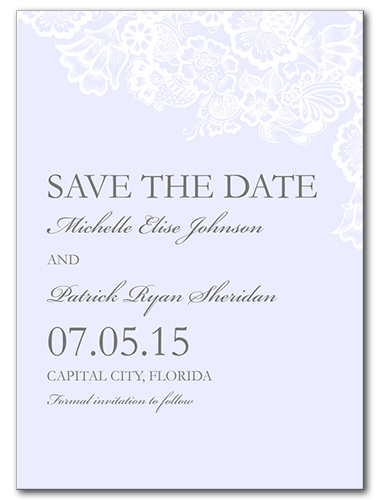 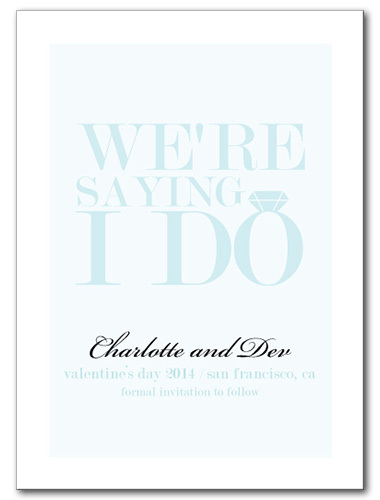 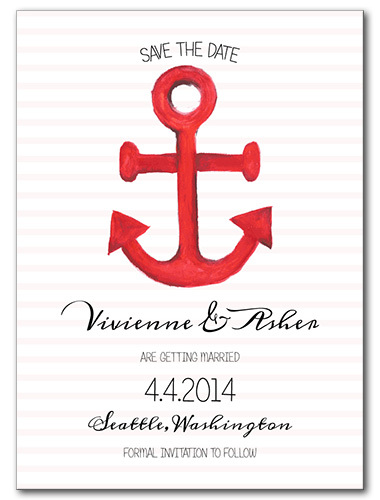 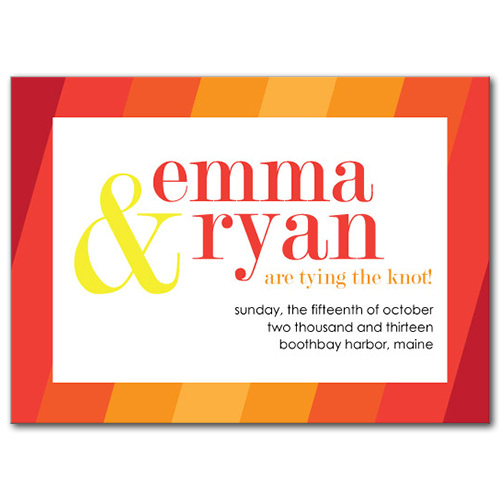 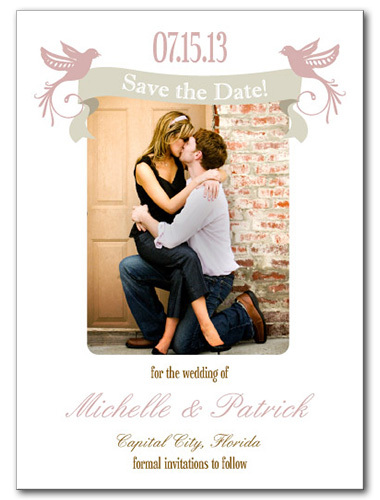 Find matching wedding invitations as well for a coordinated look.